Corner your bathroom and reclaim forgotten corner spaces. Maximize limited bathroom real estate with corner counter top sinks. Use clever corner solutions to conquer small corner sink spaces. 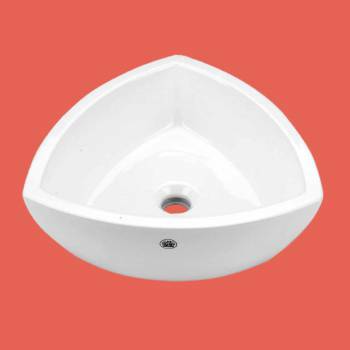 From simple white corner sinks to colorful designs our line ranges in corner countertop sink styles. Don’t forget our line of corner bathroom accessories, for corner cabinets and corner shelves. 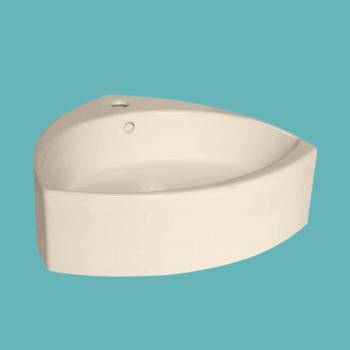 Our water-saving toilets complement all our corner bathroom sinks. 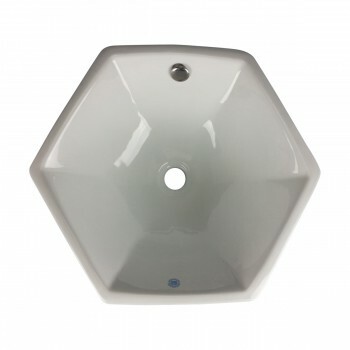 Save on plumbing supplies with Quantity Discount prices and FREE shipping on web orders over $125. 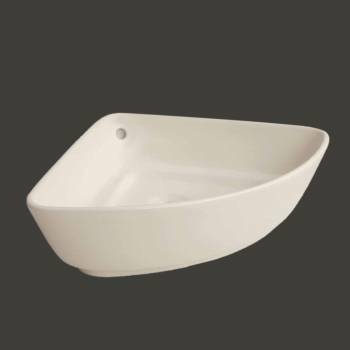 Vessel Sinks Above Counter: Made of Grade A vitreous China these sinks endure daily wear & tear. Our protective RENO-GLOSS finish resists common household stains & makes it an EASY CLEAN wipe-off surface. Ergonomic & elegant easy reach design reduces daily strain placed on your body. SPACE-SAVING design maximizes limited bathroom space. Easy, above counter installation let's you select from many faucet styles & countertop designs, sold separately. Measures 16 3/4 in. W x 19 1/2 in. proj. 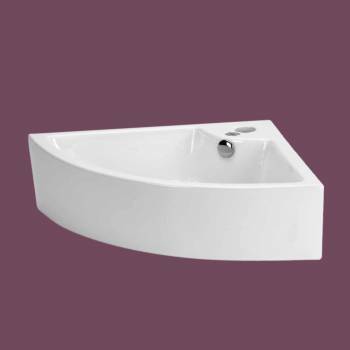 Vessel Sinks Above Counter: Made of Grade A vitreous China these sinks endure daily wear & tear. Our protective RENO-GLOSS finish resists common household stains & makes it an EASY CLEAN wipe-off surface. Ergonomic & elegant easy reach design reduces daily strain placed on your body. SPACE-SAVING design maximizes limited bathroom space. Easy, above counter installation let's you select from many faucet styles & countertop designs, sold separately. Measures 17 1/2 in. W x 17 1/2 proj. Overcounter Sinks: Counter top sink for tight consoles or existing countertops. 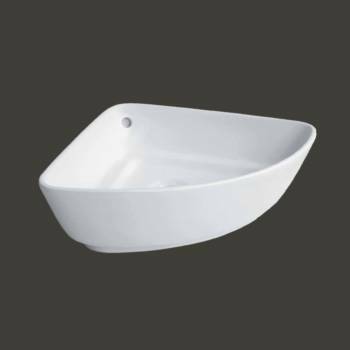 High Quality Grade A Vitreous China. Sophisticated yet simple. Note: does not mount onto wall.